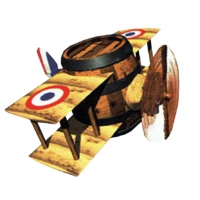 The Biplane Barrel is a special biplane-shaped Barrel that is owned by Funky Kong in Donkey Kong Country 2: Diddy's Kong Quest and Donkey Kong Land 2. 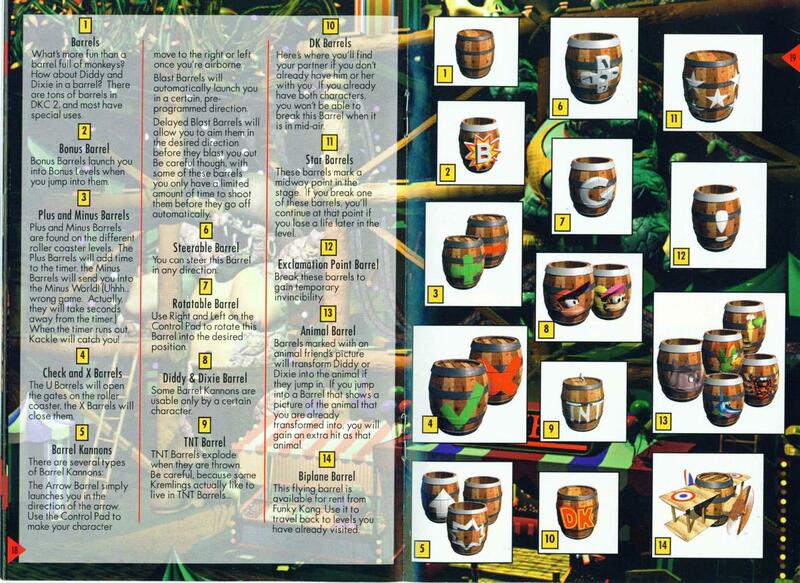 It serves as the replacement for the original Jumbo Barrel from the first Donkey Kong Country. In the Game Boy Advance port of Donkey Kong Country 2, the Biplane Barrel was replaced with the Gyrocopter. In DK: Jungle Climber, Funky owns a plane that largely resembles the Biplane Barrel. Donkey Kong and Diddy use it travel to each world's smaller island, provided they have enough Oil Barrels. If Diddy or Dixie Kong visit Funky's Flights II, Funky allows them to use the Biplane Barrel to travel to another world via the Crocodile Isle map, as long as they have already visited it. The only exception is the Lost World, which can only be accessed through Klubba's Kiosk. At first, for each world, usage of the Biplane Barrel costs two Banana Bunch Coins, but all consecutive uses within that world is free. Like the Jumbo Barrel, the Biplane Barrel is capable of moving the Kongs between locations on the world map faster than when they are on foot. The Funky's Flights II theme continues to play on the world map while the Kongs are using the Biplane Barrel. The only other way of returning to the Crocodile Isle map is by defeating a boss, which is a less safe alternative. In the Game Boy Advance port, unlike the Biplane Barrel, the Kongs no longer visit Funky's Flights II to use the Gyrocopter. This is because after completing Aerial Loop, the player can select the Gyrocopter from the world map menu whenever they decide to. ↑ Donkey Kong Country 2: Diddy's Kong Quest instruction booklet, page 18. This page was last edited on April 13, 2019, at 12:03.